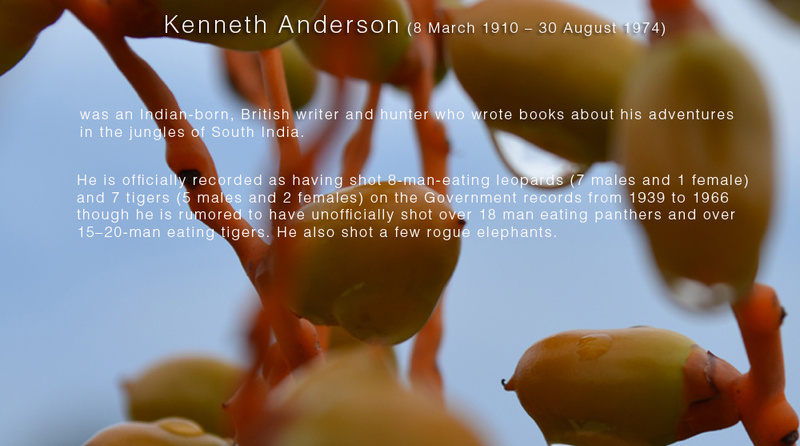 Bangalore week end getaways | Kenneth Anderson, The Hunter Conservator and the Inspiring writer! Bettamugilalam (Bettamugalam) is a known place for Kenneth Anderson Followers.Here is where, the Hunter and the Nature conservationist has encountered the Bettamugalam Man eater. Very long time, i was thinking that, this story is a fairy tale in an imaginative country.NO,It is a Superb Place, when i mustard the courage to take few friends and traveled i realized. The Most Interesting thing about the story is the British Collector’s Farm.I have tracked it down last week.This place is roughly 40 kms away from Denkanikottai. Please read the KA Descriptions about the Incidence. “MANY YEARS AGO A RETIRED BRITISH ADMINISTRATOR, POPULARLY known as the Collector in those days, had acquired for himself 300 acres of jungle land on the northern slopes of the Gutherayan range of hills in the district of Salem, where he built an incredible bungalow. He built it all of stone and to the pattern of a castle. This man loved the jungle and he preserved it at a tremendous expense to himself by engaging an army of coolies to hack away the thorny undergrowth and the lantana plants which, in those years, were just beginning to envelop the forests of southern India. He called his place Bettamugalam Estate, after the name given to the local sub taluk area, and his stone house he called ‘Jungly Castle’ Cleaned of the strangling lantana, the natural forest grew apace The grass that flourished in the glades between the trees attracted bison and deer, which in their turn brought their natural foes, tigers, panthers, and the still more voracious wild dogs. Conditions then began to change. The British Collector died and Bettamugalam Estate, with Jungly Castle, was bought by an Anglo-Indian who did not…” thus goes the story. “I have called so many people in the past.I wanted to see the remains of Jungly Castle..No one had a clear idea.Many had confused me.The most beautiful adventures happened in melagiri area in all his stories”Kenneth maintained great friends in these places. Today, Still, Bettamugilalam is a beautiful Country side.I could see the collector’s farm, as still the people of Bettamugalam calling it that way.Only, His castle is no way to be found.The story is much old, so the power of time might have obliterated the remaining traces of Jungly castle. Near to that Place, There is a Most beautiful Forest Hill Estates have come up.Though the promoters have no information about KA. They have opted the beautiful place for their country Homes. This estate is opposite to the British collector’s farm and The Most windy place i have ever gone. 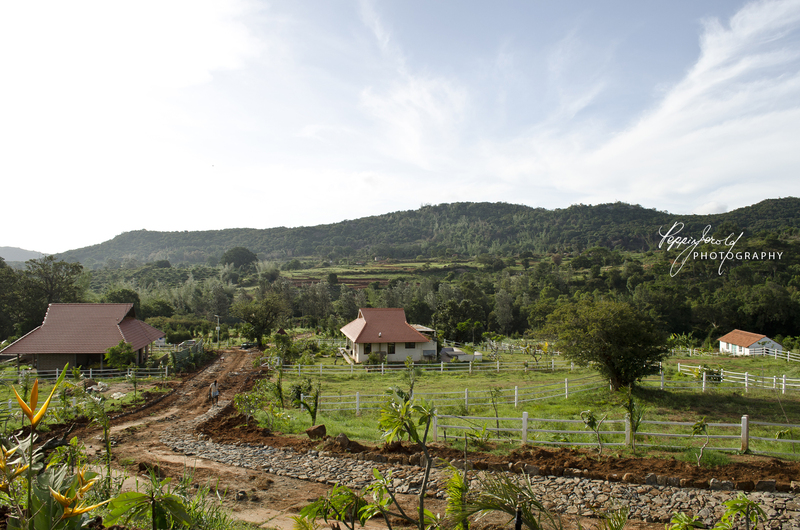 It was all by accident, i have communicated with the developers,and have heard that, the MD, Mr. Shyam Reddy is a nature Lover, and he built this estate for people like him to stay away from the hassles of city. Though, they do not have any idea about the legendary story, I must admit their love for developing a gem like this.Every inch of their week end abode is tastefully done. While talking to the manager, i have explained my field of interest and my profession..They have overjoyed to share their Home for a night and we had shot many nice snaps in that historical vicinity. Bettamugilalam is a village consists of many many small villages.You have to cross ‘kamayeri’ to reach Bettamugalam. The drive to Bettamugilalam is a simple one.You will have to cross the forest check post at Aiyur, and drive 20 kms road.This area is elephant infested and mostly rogue ones. The road is good.But, you need to be careful as it will mostly pass through the Bamboo forests.No shops and accommodations are available en route. Kenneth Anderson, thus narrates the Story involves this place..
and the parents of every prospective bride turned down the marriage of their daughter to a mere yokel, the son moreover of such a poor father. But a girl was found at last. I was told that she was very deaf and had walked with a limp from birth. Very likely these impediments had caused her parents to agree to the marriage with Gurappa, who was so poor. Now another problem presented itself. The bridegroom had no house. His father had sold the hut the family had lived in. Not even in India can a bridegroom bring his bride home on their wedding day to no house! So Gurappa decided to build one in a hurry. True, he had no money, but fortunately a good number of stones still remained of Jungly Castle, although the best and largest of them had already been pilfered. Scorning to wait for a moonlight night, the would-be bridegroom begged the village headman to lend him his cart. “it was getting dark when we returned to the Forest Rest House at Aiyur. The Range Officer offered me accommodation at his bungalow for the night, but the thought of the dry biscuits in my pocket made me decide to return to my camp at Sivanipalli and the corned meat that awaited me there. I had my torch, and after all the tiger might not be a confirmed man-eater. So I started out to the dismay of the two officers, who shouted a warning behind me that I might never reach Sivanipalli. The path wound downhill mostly, between lantana, scrub and scattered babul saplings till, as a lower level was reached, the trees became loftier and clumps of heavy bamboo grew in among them. The darkness became intense, through which the beam from my torch cut only a narrow pencil of light. Suddenly a feeling of great uneasiness came over me—rather, a feeling of mortal fear. Why, I could not imagine. I had heard no sound, nor had I caught any audible cries of alarm from the deer and other creatures in the jungle to warn me of danger. I creature nearby to witness what happened to me. Nothing, and nobody to help. And, although I could not see him in the gloom, or hear him, even in that absolute silence, I was as certain of the presence of the tiger there as I was of my own. I have found that at times of great peril in the jungle, the human reflexes act in one of two ways. The trumpeting scream of a charging rogue elephant, or the guttural roar of an attacking tiger or panther, sometimes galvanizes the victim into precipitate flight, or else he is so paralyzed by fear that he is rooted to the spot and quite incapable of movement. It is rare, indeed, that the victim can think at all, much less think clearly, of what he should, or rather could, do in the circumstance. There is no time for thinking. But in this case there was no screaming elephant before me, nor a roaring tiger for that matter. Only silence, and the certain knowledge that the man-eater was there. And the reflex that came to me was to run, and to run fast, as fast as I could, away from that dreadful spot”…. These things might have happened at 1935..As of today,(2016) there are changes like..You can’t see a tiger because they have been wiped out..There are full fledged electricity and Bsnl Signal, Cable tvs etc. Yes! Elephants are still over populated..Deers are here and there. Bisons yes! The Villagers claim that, they have seen Panthers…The only face saving grace is, The place is not crowded.A proper one day nature visit is going to be refreshing..Leave Bangalore at 4 am..You will be here at 6 am…Just 2 hrs drive. In all truth, Hogenakkal should be a great place theoretically…and onward drive from here,But, for some unknown reason, India’s Most cheap crowd gathers there…They some how posses the capability to turn the clean water to black waters in no time….So, Please avoid that. 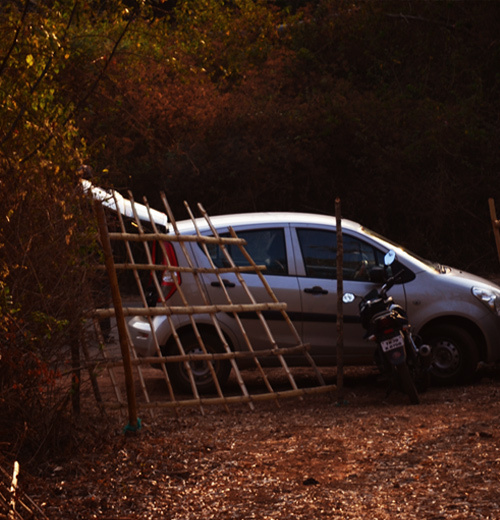 While, at night in Bettamugilalam (Bettamugalam), i was overjoyed to be in a wonderful place.The Forest Hill is amazing. Please be aware, that,this is a private property.They won’t allow any travelers,and no per day rent system also.In my case, being a An Architectural Designer myself,I could associate with them to certain extent.Since, i love these places, in future i would be contributing to builders who has a passionate ideas like this one. Before finishing this..I have a suggestion to fellow explorers.Please be accurate in explaining places like these.Those times, when i have read the trekker’s write ups regarding Spider valley, Aiyur and Kodekarai, i mostly ended up confused.They could not capture the place and they neither got the spirit of the Location…Many had gone with Biscuits and Lemon rice.Made a lousy story about what they have encountered.Sad!